This could be crippling to the ailing automaker. The federal government and FCA have been butting heads as of late, and this could prove to be a huge issue for the Italian-American in the very near future. And by that we mean FCA could be screwed within the week. Coming down the grapevine via Bloomberg is a report stating that the US Justice Department is preparing a lawsuit for FCA regarding allegations that the automaker cheated on emissions testing of its diesel engines using software similar to what Volkswagen used to steal the headlines. However, FCA will not go down without a fight. The issue concerns ambiguity around the term “auxiliary emissions control devices” and how the EPA requires automakers to disclose these on their vehicles. On one hand, devices that permit the engine to relax its emissions controls in order to preserve longevity when operating outside of normal conditions are allowed. 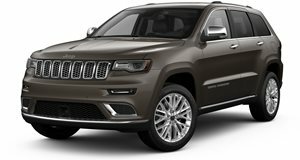 FCA claims that the auxiliary devices installed on its Jeep Grand Cherokee and Ram 1500 pickups in the US fall under this category, but the EPA counters that argument by stating that the fact FCA failed to disclose these devices—a requirement of the law—means that the automaker is in violation already and could face further charges if insidious motives behind the devices are discovered. This could prove to backfire if FCA is found guilty, especially with fines as high as $44,539 per cheating vehicle on the table (which would total $4.6 billion given that 104,000 vehicles are involved). This would be a bleak outlook for the already indebted automaker, but FCA has two silver linings on the horizon. 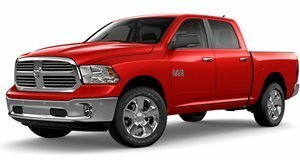 The first is that Germany, which previously accused Fiat of cheating diesels, has cleared the automaker after investigating and said its models are “absolutely fine.” The second is that President Trump, a fan of deregulation and policy that protects American automakers and preserves American jobs, may see it best to leave FCA alone.